So, my wife and I went to see Captain America - Civil War and it's no secret this new movie involves of course, Captain Steve Rogers AKA Captain America and Bucky, AKA The Winter Soldier. About twenty minutes into the movie, I remembered something I wrote a few years ago before I was involved with the Midnight Freemasons. Thinking about the success of the comic series and of course recently the movies, there is something just so "stand-up" about Steve Rogers AKA Captain America. And then there is this quote from the Comic book --The Ultimates #7: Cap (Steven Rogers) is chatting with his old sidekick (who has grown old, while Cap has been frozen). Bucky says, "So why don't you come down to The Lodge on Friday? You remember Donnie Hudson? He's seventy-five this weekend and all the old crowd are throwing him a roast." Gail interrupts, "Oh, never mind about all those silly aprons and secret handshakes, Steve. 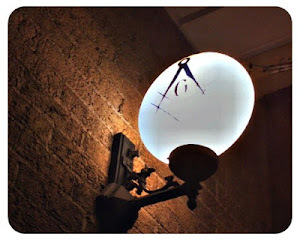 "~ Taken from www.wcypodcast.com May 30th, 2012. So there you have it, while you're there watching the new movie Captain America - Civil War, just think about how Bucky and Captain America are Lodge Brothers! I'm going to let my nerd show through - the Ultimate universe (Earth-1610) was recently erased from continuity, leaving only the main (Earth-616) universe intact. 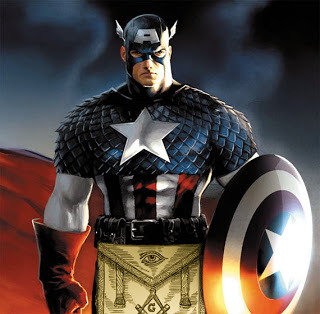 So the masonic Captain America and Bucky/Winter Soldier probably don't exist. HAHA! Counting on Jeff James coming through. You're the man, Bro. Captain America didn't get shot in the head either....Was that in the same continuity?